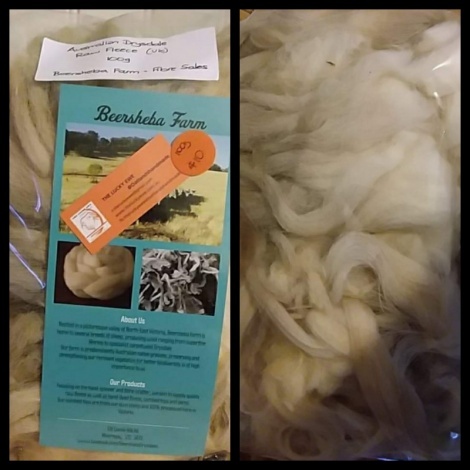 100g of Australian Drysdale fleece. These packs are from young animal. Length of staples 25 - 30 cm. Soft but strong. Beersheba Farm (Vic) has the only registered flock of these carpet wool producers. The fleece is more hair-like with minimal grease. It scours up white as white and takes dyes very well. No crimp at all and in the high 30s micron-wise. Ideal for spinning to weave homewares and rugs. Felts beautifully.